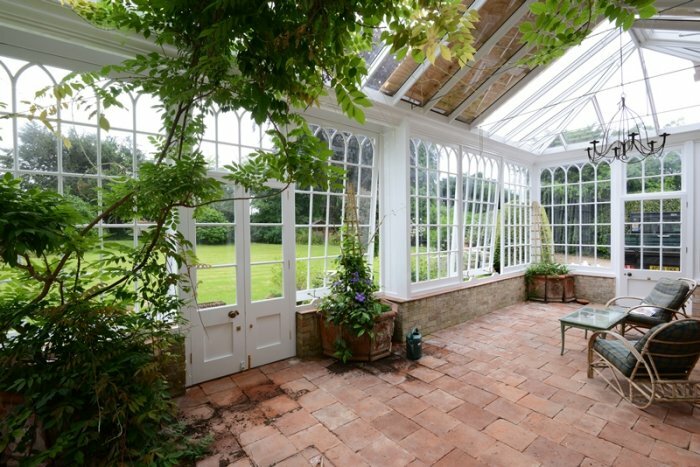 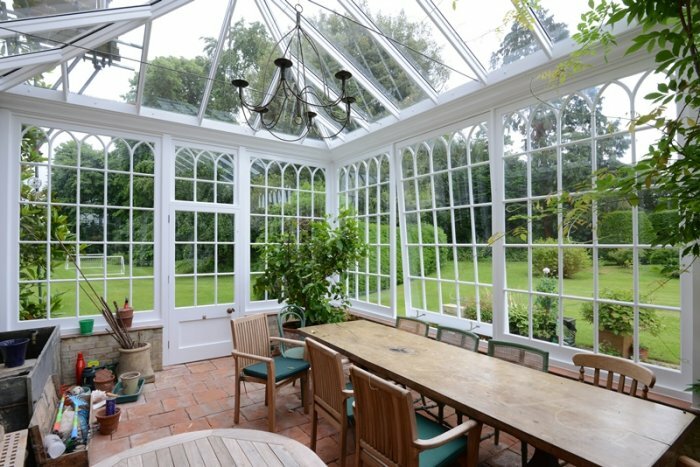 This project comprised the complete reconstruction of the wooden conservatory to the original authentic pattern. 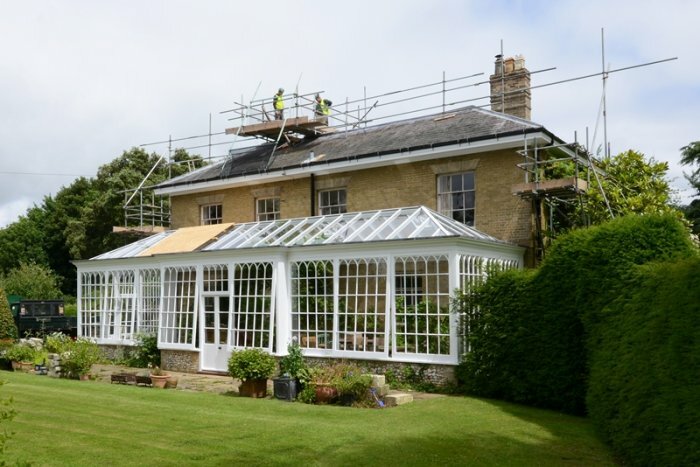 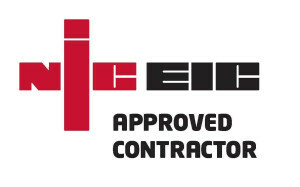 We carried out structural alterations to the property, including removal of walls and creating a new roof structure in places. 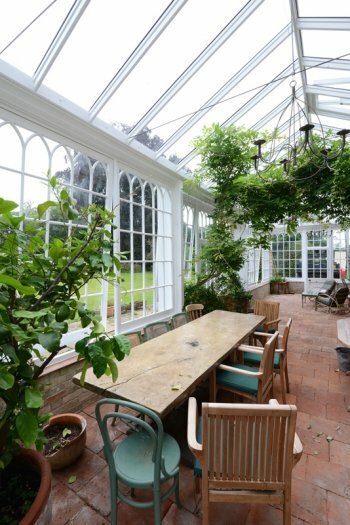 Curved glazing was formed to the top of new window lights crafted from Sapelle hardwood to enormous windows, over eight feet tall. 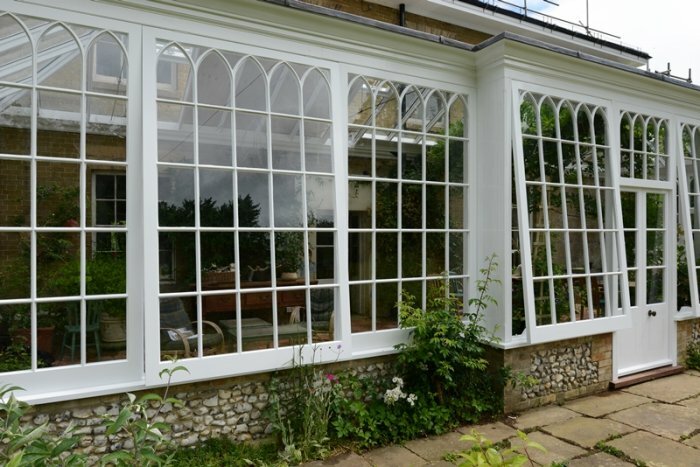 The window was taken from the existing pattern to create a modified and more stable design.